This conservatory was made with a polycarbonate roof that's was noisy to hot in summer and to cold in winter also non matching bricks as they were discontinued. 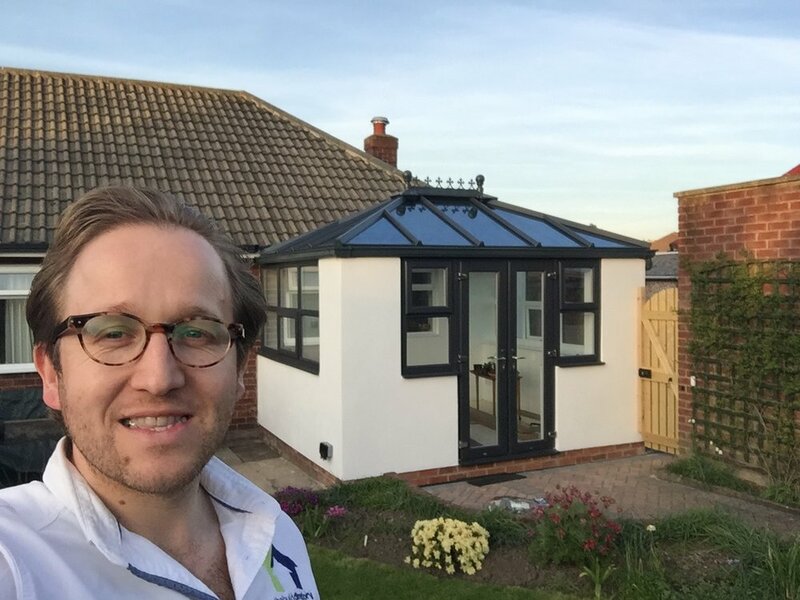 We have extended the base and rendered the outer surface for contrast whilst installing A rated frames and roof with anthracite grey profile outside and white inside it looks and feels fantastic! Newer PostThe Build Directory Irish Oak UPVC door replacement transformed ! Older PostThe Build Directory Promotions Team meet Alice in Wynyard Land looking smooth!! !